Home>Posts>Elections>State Elections 2013>2013 Semi Finals : The Results, Part 1-State-Wise Analysis. It was a super sunday for BJP and a sulking sunday for the Congress! There were record turnouts, record hype around the elections and finally, record results. BJP swept the elections bagging all 4 states (retaining 2 and capturing 2) and winning/leading in 404 of the 589 seats. After Nelson Mandela and Paul Walker, 2013 may also be the death year of the Indian National Congress, which was absolutely decimated in the State Elections. The Congress has been reduced to a mere midget, bagging just 128 of the 589 seats being contested, down from 248. 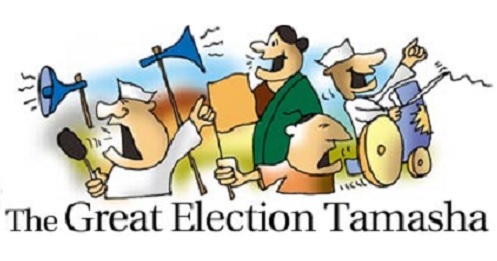 It has been reduced to single digits in Delhi, 10% seat share in Rajasthan (from the position of the ruling party) and a minority in Chhattisgarh and Madhya Pradesh, despite aggressive campaigning and anti-incumbency. But, the BJP victory wasn’t the biggest thing about these semi-finals. With the Modi Wave and the Congress anti incumbency, this was much expected. The biggest thing about these elections was the emergence of the new power centre- the AAP. The Aam Aadmi Party was a result of the anger against the mainstream national political parties and the politics of vote-bank and communalism. Formed just a year ago, this party was supposed to be a spoiler, winning between 10-20 seats. But, this party exceeded all expectations and went on to become the second largest party, losing the top spot by a mere 3 seats and majority number by just 7 seats, surprising every political leader and citizen of our country! Let’s have a state by state look at Mandate 2013. Previous Government: Congress Government led by Sheila Dikshit, 43/70 seats. Sanjay Jha said, some time back, that the AAP and the BJP will be fighting for the 2nd and 3rd position. What unfolded was absolutely unprecedented and left the Congress and all other parties fighting for the 3rd and 4th position. Delhi has, since ages, been a Congress stronghold. But this year, things were to change, and gladly, they did! BJP and AAP decimated the Congress and reduced it to a mere 8 seats. The BJP was supposed to be winning this election. The Modi Wave, UPA Anti-Incumbency and the local issues like price rise and electricity costs were the key players in this election. However, there was always an AAP factor, which split the anti-congress votes into two parts. At 32 seats (31 BJP+1 SAD), the BJP still managed to win the maximum number of seats and became the single largest party, but as predicted, failed to capture the majority in the House. Though the BJP won the maximum number of seats in Delhi, it failed to win the much important minority vote. Most of the Muslim majority seats were won by the Congress and the AAP also gained significant Muslim votes. The BJP only managed to win one Muslim majority seat in Delhi. The AAP was the stunner of the Delhi elections 2013. Before the elections, neither the BJP nor the Congress recognized the AAP effect but the election results left both these parties stunned. In its debut, the AAP captured 28 seats with an impressive vote share of 29.5%. Sweeping into the anti-congress votes, a new personality contest, Arvind Kejriwal vs Narendra Modi emerged after 6 NaMo rallies failed to help the BJP reach the magical number. Also, the stunning debut of the AAP made it clear to the political class that the people of the country are searching for an alternative to the mainstream national political parties which is not built on communal or caste based lines. Even though the AAP may have lost these elections, it has won the confidence of the people and a lot of moral support which will pull this party far ahead than anyone could ever have imagined. The story of the Indian National Congress is over. Though Sheila did develop Delhi, the anti-incumbency of the UPA is hurting Congress’ chances in each and every state. From 43 seats in 2008, the Congress has been reduced to an insignificant 8 seats, just 10% of the total House. The Delhi wing of the Congress will need serious introspection into what went wrong and how will that be rectified. It will be a fight against time for the Congress party with the General Elections in just 4 months. But. 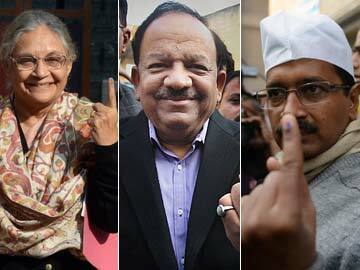 things still don’t look decisive in Delhi and no single party has commanded the majority. Even after adding the seats of the BJP, SAD and one of the two independent candidates, BJP does not command a majority and falls 3 seats short. Most probably, Delhi will be under the President’s rule for 6 months and the elections to the Delhi Assembly may be held with the elections to the Lok Sabha. However, if the AAP is supported by the Congress, which is unlikely, the AAP may go on to form the Government. Previous Government: BJP Government led by Shivraj Singh Chouhan, 143/230 seats. 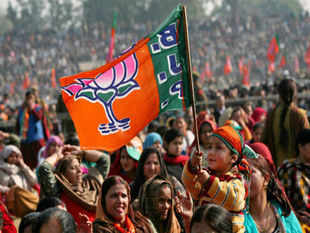 2013 Mandate:BJP-165 seats (+22), Congress-58 seats (-13 seats), Others- 7 seats (-9 seats). Yet again, BJP conquered Madhya Pradesh, and this time in a spectacular way. Getting a clear 2/3rd majority, Shivraj Singh Chouhan returns as the third time Chief Minister. Many Media Houses projected this as a Shivraj v/s Modi fight, but I feel the announcement of Modi as the PM candidate was the icing on the cake for the BJP in Madhya Pradesh. BJP won 165 seats of the 230 seats. Interestingly, it also established its secular credentials by winning most of the Muslim Majority seats in Madhya Pradesh, a state where the Muslims make up 7-8% of the voters. The Congress, riding high on Jyotiraditya Scindia, tried to improve its 2008 tally and give the BJP a tough fight. However, it was a scenario of a little too late for the Congress and Jyotiraditya failed to make an impact in the short span of 12 weeks, from when he took on the responsibility of the campaign. Again, the Congress needs to introspect into what went wrong and one will have to question the Congress High command for the late decision taken by them regarding Jyotiraditya, which may have cost the Congress 10-12 seats and a certain percentage of the vote percent. Previous Government: Congress Government led by Ashok Gehlot, 96/200 seats. The Congress suffered a major setback in the Rajasthan polls. Not only were they ousted out of power, but they also fell down to the lowest ever in the last 10 years of 21 seats, a little above 10% of the House. This election is a reflection of the 2014 polls. Just like the UPA, the Congress Government in Rajasthan was relying on the number of schemes and freebies it had distributed amongst the people. However, the Food Security Bill, Free Medicine Scheme in Rajasthan and many other sops failed to win the Congress any seats. Destroyed and shattered, Ashok Gehlot conceded his defeat. Vasundhra Raje and BJP literally thumped the Congress. Winning a 3/4th majority, the BJP secured 45% of the vote share, a major figure for any party in any state. Even the minority votes went almost entirely to the BJP and only one muslim majority seat was won by the Congress. 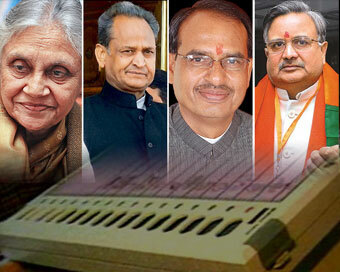 Modi and Raje led the BJP to a thunderous victory in the Rajasthan Assembly polls. Previous Government:BJP Government led by Raman Singh, 50/90 seats. 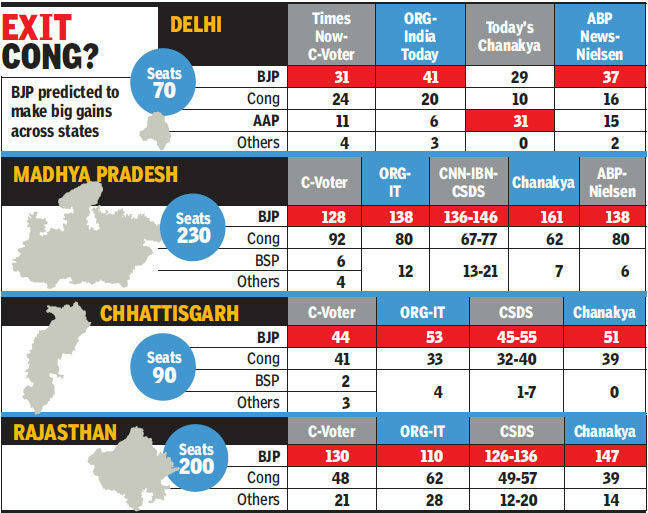 2013 Mandate: BJP-49 seats (-1) ; Congress-39 seats (+1); Others-2 seats(No Change). 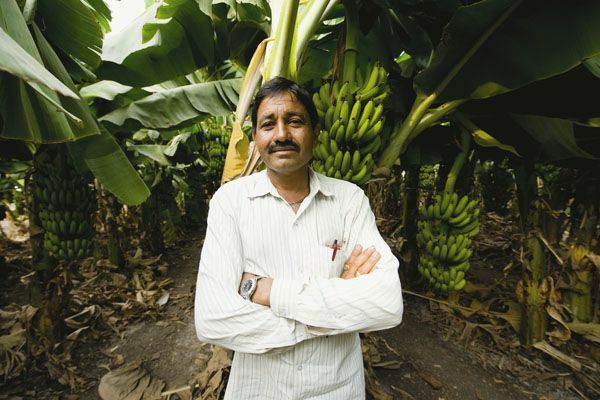 Chhattisgarh had an almost similar situation as in 2008. BJP, led by Raman Singh, won 49 of the 90 seats and the Congress remained in the opposition. However, there was a shift in the regions where both the parties commanded the votes. Congress got most of the tribal and naxal seats, which were won by BJP the last time. But the BJP ate into the Congress strongholds and maintained the balance, ending at a figure just 1 less than that in 2008.